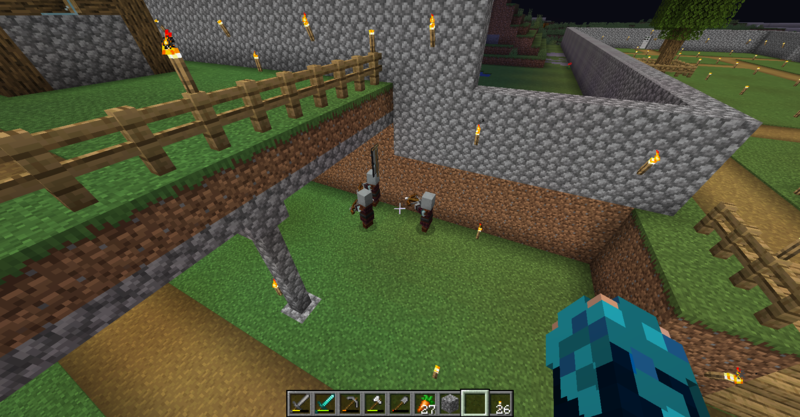 During my sessions on snapshot 19w09a i started to barricade an entire village (see picture) to prevent them from beeing attacked by pillagers. unfortunately the pillagers spawned within the walls to my surprise. 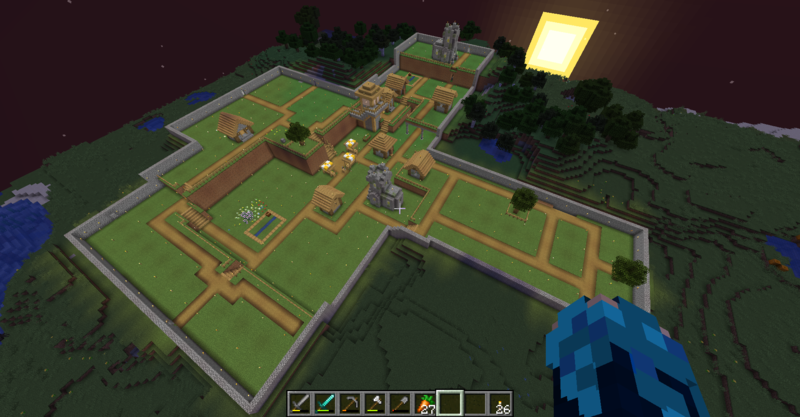 since villagers tend to stay close to their village, the village must have a virtual ''border''. Maybe it would be nice to let pillagers only spawn outside village borders or even a few blocks away from that border. This would also be usefull if you triggered a raid and they spawned outside village borders. I think it could work as a range gamerule, such as with randomTickSpeed. Something like "/gamerule pillageSpawnDistance x" with X being the number of blocks away from the center of the village.